Using the smartphone is so intensive that as you use it for almost any task. This increased use of the files on your smartphone, can also cause accidentally delete files or pictures that you may need. Let’s not panic! Here’s how to get them back. With MobiSaver for Android you can recover those deleted files on your Android, regardless of medium where you had saved. That is, that you can recover deleted whether they were stored in the internal memory of your Android, as in the microSD card. To recover your data, you need to fulfill two requirements: First, and most important, it is to have your rooted device. Otherwise it will be impossible to recover data using this method. The second is to try to recover the deleted files as soon warn you no longer have. Since that time, it is advisable to use your smartphone as little as possible so as not to rewrite much of the memory and keep the chances of recovering your files. 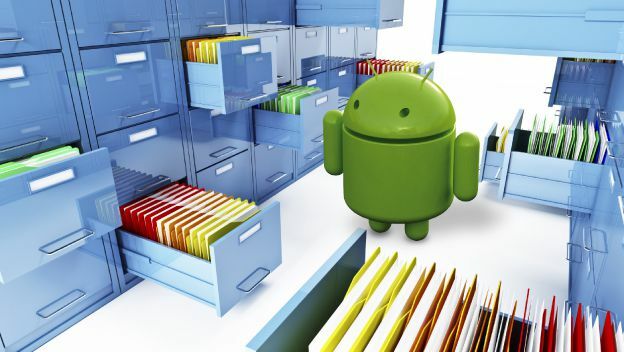 MobiSaver for Android is a free software that lets you easily recover all deleted files. You can even recover deleted SMS or contacts! Start by downloading the program MobiSaver for Android from its official website and install it on your computer. Installation is not different from other programs, but before completion, will ask permission to install a specific driver to help you recognize your device. Click on Install, to allow installation of that component in your computer. After that, the installations are completed and restart your computer. 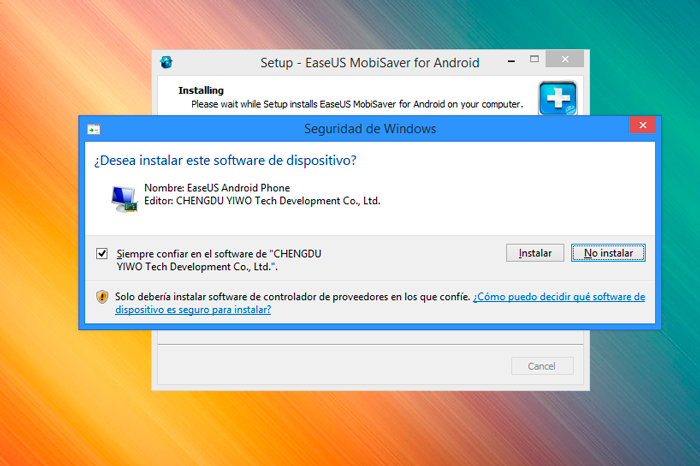 Before connecting your device you will have to activate USB debugging to enable MobiSaver for your Android smartphone to send the necessary commands for data recovery. So, on your Android, go to the menu Settings and seeks input options development. If this option does not appear, you may not have unlocked. So that you appear, you must access the option Phone Information and playing, repeatedly and consecutively over the entrance build number to find at the end of this menu. Your device will indicate that it has unlocked this new option. Then return to the menu settings and, near the end, you will see the entrance to the section of development options. Tap on it to access and activate the option USB Debugging. Then start MobiSaver for Android and connect your device to your PC with the USB cable. MobiSaver for Android will detect that you have connected and display it in its interface. Click on the button Start to start the connection. During this connection process, various messages appear on the screen of your smartphone in which you requested access permission for MobiSaver for Android. Accepts all permits and MobiSaver for Android will start analyzing the contents of your smartphone and files that could be recovered. This analysis could take up to an hour, depending on the number of files. Be patient and do not disconnect your device while this is done. A bar at the top will indicate the progress of the analysis. After analyzing all the elements detected in different categories are shown. In each category is indicated in parentheses, deleted items found that could be recovered and total elements found in that category. If you are lucky enough that MobiSaver for Android is the file you were looking for before fully completing the analysis, you need not wait for finalice. Puedes recover anytime. Click on the type of file you want to recover. For example, if you want to get a photo, click on Gallery and see the thumbnail of the photos found. In some of them the icon of a trashcan appears. This means that the image has been removed and may recover. Before starting to recover, make sure the image is complete because sometimes the image is damaged and recovered only partially shown. Mark the picture you want to recover and click on the button Recover. After indicates a location on your computer where the photo is saved recovered. 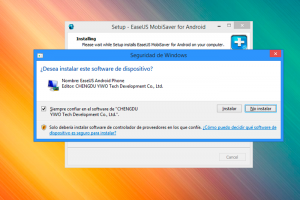 MobiSaver for Android is a recovery method that is able to recover a number of deleted files. However, no recovery method is able to ensure the recovery of files that have been deleted or overwritten media where information is often long. Hence the insistence that, as soon as you think you’ve deleted a file, stops using the device to avoid overwriting and try to recover it as soon as possible. The more recent the deletion, the easier it is to recover the file … but success can never be 100% guaranteed.